The brand new Annual catalog will launch on June 1st, 2018. The new catalog is filled with lots of awesome product. The new designer series paper is absolutely gorgeous and you're going to love it. I wanted everyone to be able to share these great products but at a discount, so I'm hosting my very first Paper Share. It’s a way for you to experience and enjoy all the new designer series paper by sharing the cost with others! Send me an email to reserve your share and I will send you a PayPal invoice as soon as I get a group of 4 people interested in the share. 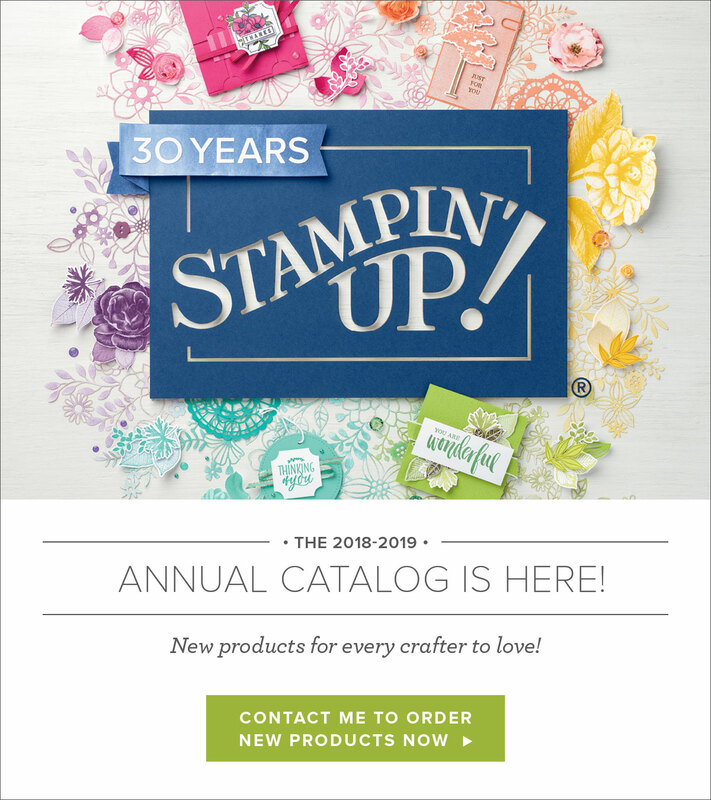 I will order the paper stacks of designer series paper from the new Stampin' Up catalog, cut, package, label and ship each person their shares. You will receive your order within 7-10 days once I receive the product from Stampin’ Up! In the event there’s a DSP backorder I will let you know immediately. You will receive samples of the Designer Series Paper (DSP) Stacks on pages 188-191. The paper comes in 6”x 6” and 12’ x 12”. The number in the parenthesis indicates how many pieces you will receive and all the paper is double-sided. You will receive in total 119 - 6 x 6 sheets and 1 trimmable element. *Trimmable elements* are part of the Petal Promenade DSP Paper Stack. If you purchased the designer series paper individually it would cost, you $231.00 plus tax and shipping. A paper share would be savings of about $191.00. If you would prefer a smaller share you can also purchase DSP Swatch books. Each book will contain 12 swatches of 3' x 6" Designer Series Paper. How to order a paper share or swatch book? Please email me at charmanespapertreasures@gmail.com to reserve your paper share. Please enclose the following in formation your email. Budgeting wisely makes our money go further so we can get a little of everything we want and everyone loves to a great discount! !